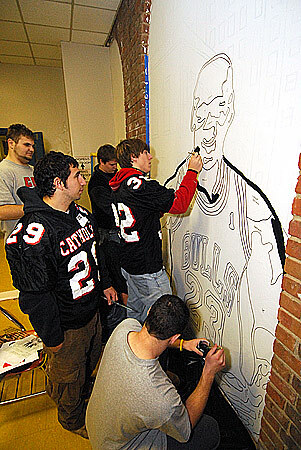 Approximately 130 CUA students, faculty, staff and alumni took part in the Martin Luther King Jr. Day of Service on Monday, Jan. 21, 2008. 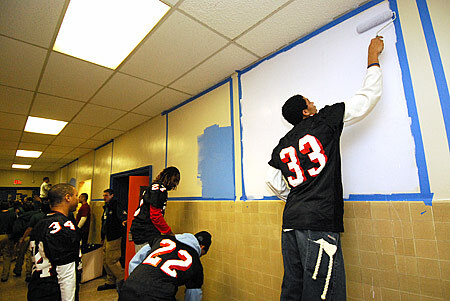 Groups from CUA worked at three Washington, D.C., public schools. 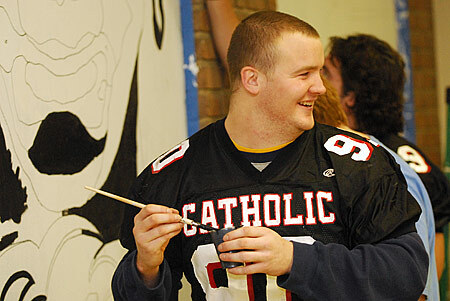 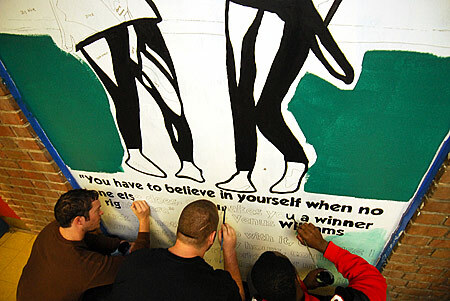 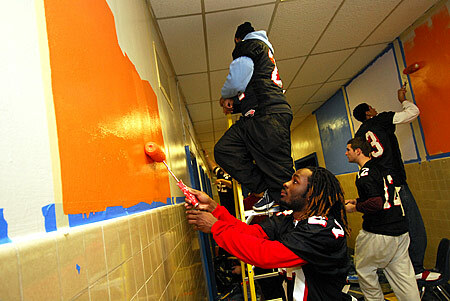 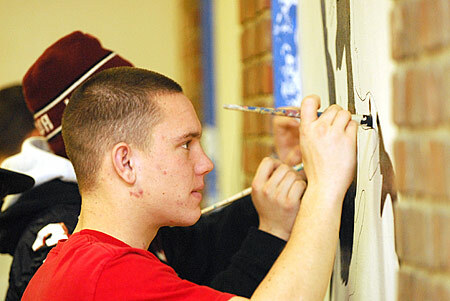 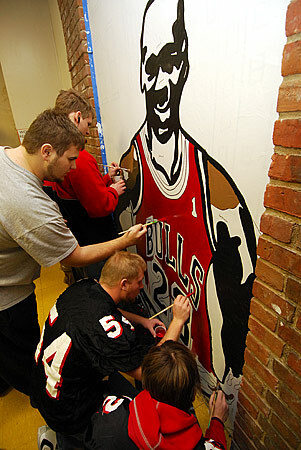 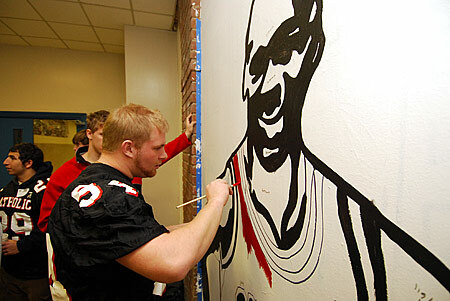 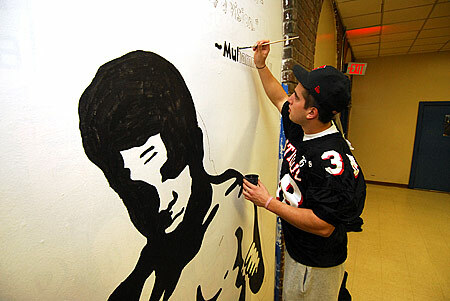 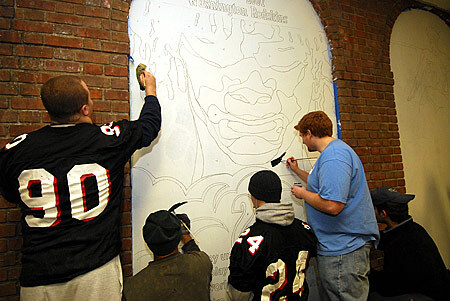 Members of CUA’s football team painted sports-related murals at Roosevelt Senior High School.